Directions for Use for Cats:To release ingredients and to activate the natural flavorings your cat will love, break chewable tablets into smaller pieces. Give one or two tablets twice daily. Chicken (Dried), Liver (Defatted Pork), Natural Flavorings, Stearic Acid Yeast (Torula). One tablet twice a day allows kitty to empty his bladder without any pain. He likes the tablets and chews them right up. This product is great all 4 of my cats love it and it helps to maintain good support for their urinary tract. They think its a treat. One year ago, my 16 year old cat, was having bloody urine, pain with urination and was diagnosed with stage 2 chronic kidney disease. She was put on antibiotics, special prescription cat food, every other day subcutaneous fluids via IV tubing and bags, and gel potassium. This went on for 2-3 months without any help. She continued to deteriorate and then began to have reactions to the antibiotics. So I turned to the internet for help and found this product. 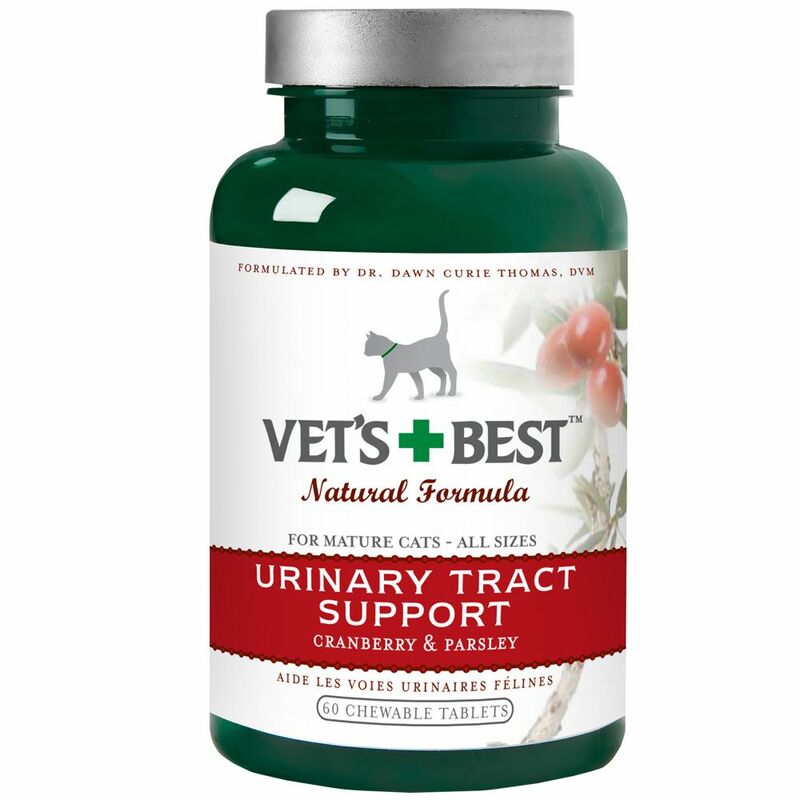 Within one week of using Vet's Best Urinary Tract Support for cats, she started getting better. No more grossly visible amounts of blood or clots, no more howling when she urinated, and she began eating again. One year later, she is back at normal weight, eating well, off the subcutaneous fluid , off the potassium and her blood work has improved greatly. We give her one pill mixed in her food in the morning and one in the evening. The vet says that she doesn't normally prescribe this type of treatment, but keep doing what we are doing. For us, it has given us one more great year with our precious pet. I am placing another order today. What\'s it take to bcemoe a sublime expounder of prose like yourself? Excellent Product Works real well Good Price.